If you are looking for Lens for Canon 5D Mark IV, we can help you with some of the Best Lenses for Canon 5D Mark IV in 2019 that are available in the market. The Canon 24-70mm is a standard zoom lens that gives you the convenience of a zoom lens without sacrificing on image quality. However, this lens is heavy and insanely expensive. Still, it’s superior and sufficient for portrait works. Apart from giving you stunning portrait works, it works well for low-light events and landscapes. Another interesting feature of this lens is its fast and spot-on autofocus. Photos shot with this Canon 5D Mark IV lens are sharp across the entire range. Expect the images to have less chromatic aberration when shooting at both wide and narrow apertures. 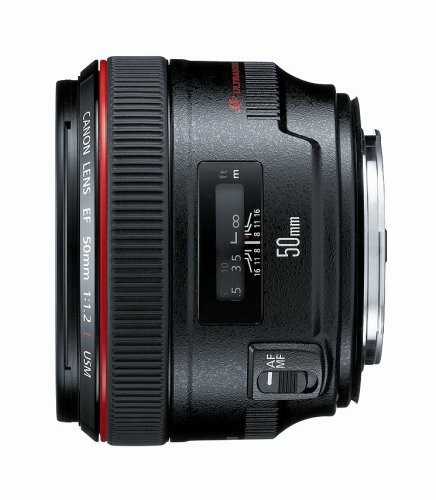 The Canon EF 50mmm f/1.4 is a prime lens that does it all. It’s well-built, stable and it is reasonably priced. For sure, when you have this L glass, you don’t need to carry your kit lens. 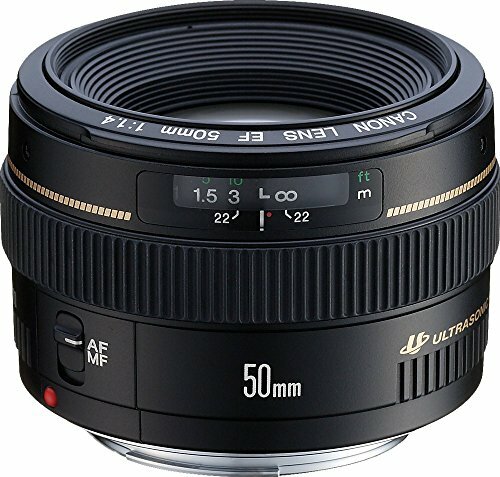 If you need a lens for artistic work, the 50mm 1.4 is an excellent choice. You can use it to capture flowers, insects, and other macro images. Also, it is suitable for portraits, action shots, and wildlife photography. Unlike the 24-70mm it does not zoom. However, it will give you an artistic effect because of its narrow depth of field. Because its aperture allows enough light, you can shoot with the lens in low-light environments and still get crisp, low-noise photos. Also, it produces a spectacular bokeh, one that is smooth and fancy. 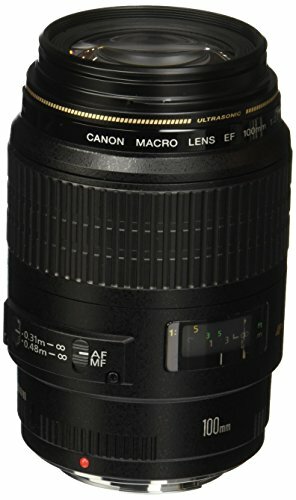 Verdict: If you plan to capture photos indoors, it can be family pictures or party photos, this lens is not the most suitable for the job. It will not give you full shots when shooting outdoors. Even so, it is the best Canon 5D Mark IV lens f you are hoping to shoot outdoors, either portraits or macro photography. A zoom lens is the best option when you want to shoot at apertures of 2.8 or narrower. If you have plans of taking photos at wide apertures, then you are better off with a 1.4 or 1.2. That said, the 50mm f/1.2 is the best prime lens for Canon 5D Mark IV. It has a build like that of a beast, and if you were to smash it on the floor, it would probably create a depression. Given it has a built like that of a tank, it is pricey. Still, it gives you an extra 1/3 f-stop. The F/1.2 gives more focus on resolution. At shooting at 1.2, the lens produces lovely and incredibly sharp images. Because the lens has a narrow depth of field, the images tend to be tack sharp at the center, with blurry images. When you compare this Canon 5D Mark IV lens to the f1.4, this lens has a creamier bokeh, and the colors it produces are more popped up. 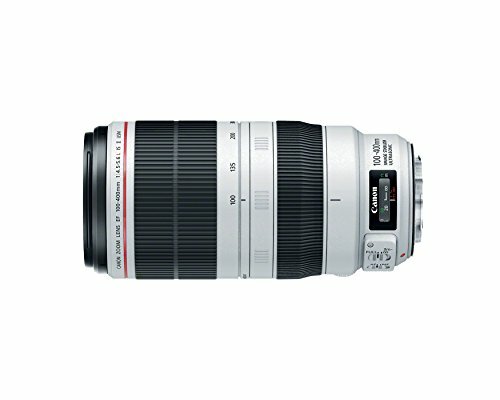 The Canon 135mm f/2L is a prime telephoto lens that shines when taking portraits and distant subjects. With it, you can capture candid unrehearsed shots. To some people, this is a breeze and a big advantage. At a focal length of 135 mm, you will get shots that are intimate and full of life. Sometimes, you may find that your hands are shaky, regardless of your shooting technique. This lens will allow you to achieve a photogenic stance even when shooting at 1/125 shutter speeds. Images from this Canon 5D Mark IV lens are tack sharp and stunningly beautiful – the photos will blow your mind away. Even pictures that are shot in low-light environments look gorgeous. Also, the Canon lens produces a bokeh that is as smooth as butter. Verdict: Pick the 135mm if you are a newbie. It is the best lens for Canon 5D Mark IV if you are just starting out. This lens will make you a better photographer. That’s because you have to compose and think of the shots you want to have before you mount the lens on Canon EOS body. This Canon 5D Mark IV lens is mainly suited for macro photography. However, it can serve yet another purpose – you can use it for portrait work. Although it is made of plastic, the lens is robust, and it has a solid feel. When you compare its weight to the 135mm, this Canon lens is lighter. Apart from that, it uses Canon’s image stabilization system, which gives about a two stop advantage. Because of this feature, you can take handheld shots in low light. Unlike some lenses where you have to turn off the image stabilizer when shooting with a tripod, with this lens you don’t have to. Portraits and Macro photos captured with the 100 mm focal length look stunning and ridiculously sharp. Besides producing sharp photos, it produces pleasing bokeh, thanks to the 9-blade circular aperture. Verdict: The Canon 100mm f/2.8 has to be the best telephoto lens for Canon 5D Mark IV. Yea, it’s pricey than the 135mm, but that’s because it has an image stabilization system and it is a luxury lens. So, it’s worth spending the extra bucks to get it. 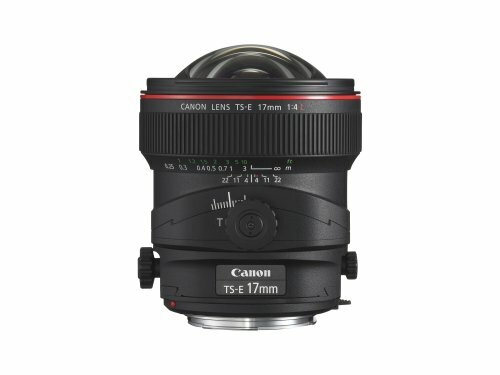 If you need a wide-angle prime lens for Canon 5D Mark IV, the TS-E 17mm is one terrific choice. It’s one of the best lenses for Canon EOS-5D Mark IV, but also expensive. However, the high price can be justified. This tilt-shift lens is top quality, and it features a beautiful construction. With it, you can capture tight interior spaces and cityscapes. Also, it uses UD and aspherical elements to reduce chromatic aberration. A circular aperture makes the Canon lens produce creative, blurred highlights. When shooting wide open at 17 mm, you may get some distortion, but it is not evident in all the photos. But this is expected since its wide-angle prime lens. Verdict: If you are looking for a broad view, maybe for architecture/real estate purposes, the TS-E 17mm is the best tilt-shift lens for the Canon 5D Mark IV to start with before you upgrade to the 24mm. 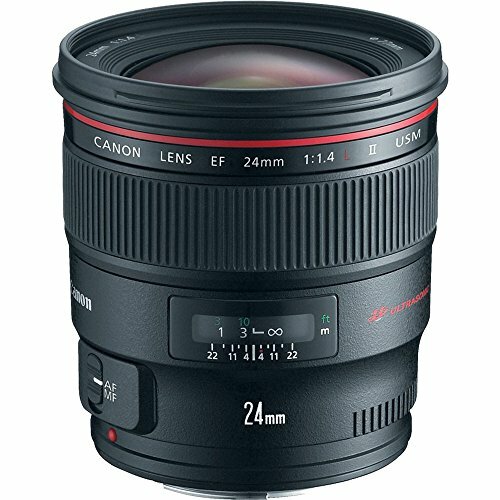 The Canon 24 mm f/1.4 is lighter than the 17mm f/4L, but it has a robust construction. Just as expected with Canon lenses, the lens feels solid. The 24mm is light as it weights just 1.4 pounds; it’s easy to walk with it anywhere. You will fall in love with its outstanding sharpness – it will give you quality images when shooting from f/1.4 all the way to f/5.6 apertures. Verdict: If you need a wide angle prime lens with a low f-stop, this Canon 5D Mark IV lens is a wise pick. The 24 mm will come in handy if you want a wide-angle lens that can capture landscape photography. The best lenses for the Canon EOS-5D Mark IV can also be standard zooms. 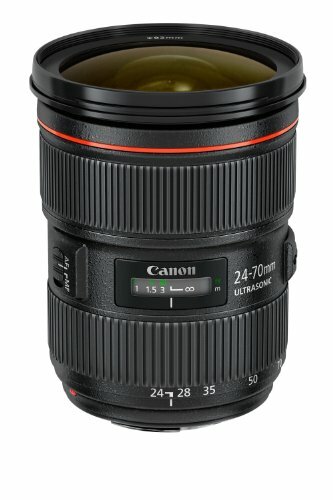 If you have never used a standard zoom lens, you should try the Canon EF 24-70mm. You may have had a bad experience with a standard zoom but hear me out. 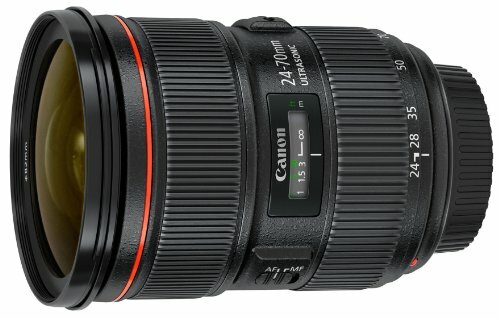 This Canon lens will completely change your life. Its sharpness and color rendition will stun you when capturing landscapes photos. The lens does not only come into play when taking landscapes photographs; you can use it for portraits or low-light events; it will deliver without fail. Because it uses a high-speed CPU and a ring-type USM, its auto-focusing is silent and fast. Although it does not have an image stabilization system, images shot with prime lenses like the 135L or 35 f/2 are no different from those captured with this lens. This lens will give you the convenience of zoom while getting the same image quality as that of a prime. Even when shooting at higher f stops, the lens has super sharpness, from corner to corner. 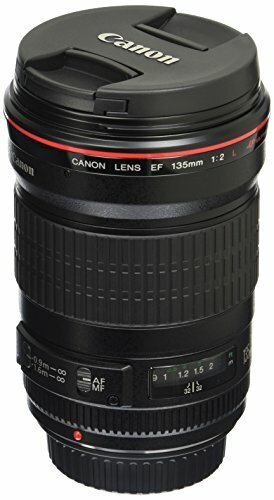 Verdict: So is this lens worth it? It’s one of the best lenses for Canon 5D MARK IV that will enable you to take home stunning pictures. I am sure most people cannot justify for its price, but if you are a pro who makes money through photography, you can consider having it. Also, it’s worth it if you are just a photography enthusiast. 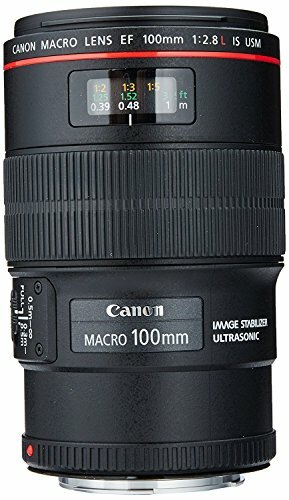 The Canon EF 100-400mm is the best telephoto zoom lens for Canon 5D Mark IV. Let see why that is so: This lens has an excellent build quality and controlling it is easy because its zoom ring and focus ring run smoothly. Its autofocus is virtually silent and fast, thanks to the new USM ring-type drive. When you compare it to its predecessor, this lens is wider, heavier and slightly taller. You will love its image stabilization system that provides three modes, which you can select depending on your purpose. The image stabilization, which gives you a 3-stop advantage, compensates for the shaking because you can use this lens in windy conditions, and not use a tripod. Even without a tripod, you will still be able to capture static and flying birds. Also, it will give beautiful landscape shots. All images are sharp, including those shot below normal shutter speeds. 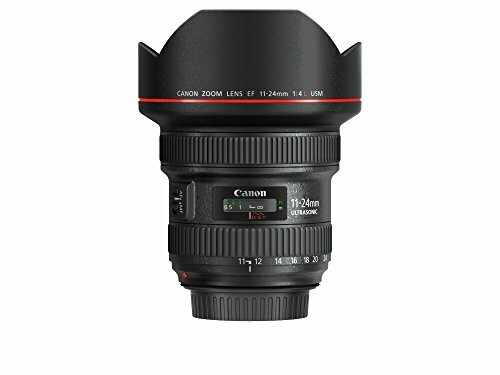 Another fantastic lens for the Canon 5D Mark IV is the 11-24mm lens. Even so, this lens gets mixed reviews. Why is that? The answer is: Because the images are soft when shooting wide open. You will notice the soft edges not only when you are using full-frame sensors like the Canon EOS-5D Mark IV but also when taking photos with crop sensors like the 7D or 60D. The distortion is evident even when shooting at f/4. You can use Photoshop to correct this distortion with less hassle. However, as you increase the focal length to f/8 or f/11, the corners become sharper. Verdict: For an L lens with superior optical performance and an affordable price, this lens fits the bill as the best wide-angle lens for the Canon 5D Mark IV. It’s versatile, and it can capture wider scenes than the Canon 35mm f1.4. When you have this, you don’t need a fast lens such as the 16-35mm, plus you can use it in low-light situations for indoor shots. 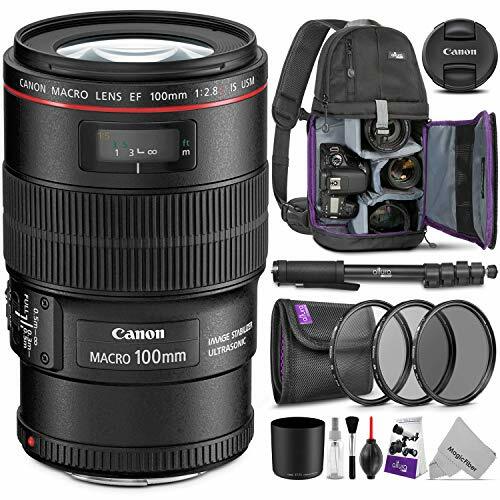 This Canon lens has a true magnification ratio of 1:1, which is excellent for portrait and macro work. It’s one of the lenses with beautiful, creamy bokeh, thanks to its ability to have a shallow depth of view. It has everything a prime lens would offer – the images are beautiful and crystal clear. When it comes to portrait work, the 100mm will deliver images with ultra-fine detail. The best feature about this Canon lens is its built-in image stabilization, which works like a tripod. If you tend to shake when capturing handheld shots, the IS will compensate for it. Its image stabilization can provide you with two extra stops of light, which means that you can shoot at faster shutter speeds. Also, the lens uses an Ultra-Low Dispersion (UD) element to lessen the chromatic aberration. Perhaps, the major difference between this lens and the 100 f/2.8L is that it does not have a built-in Image Stabilization (IS). The IS system comes in handy when taking handheld shots. Capturing macro shots without a tripod is a challenge. Well, the IS makes it possible to do so. Should you purchase this lens, you will be restricted to using the tripod most of the time. Other than the IS, all the other features are intact. Images from the 100mm f/2.8 are not different from the 100mm f/2.8L.It’s a true macro lens for Canon 5D Mark IV, and it’s also versatile. No doubt, the images are incredibly sharp; from edge to edge, the sharpness is phenomenal.